Mary is the new album from Ontario pop band Ivory Hours. It’s a collection of six of the band’s best pop tunes to date, and it is definitely something to take notice of. While the music is at most times upbeat and enjoyable, the lyricism often touch upon subjects of loss, relationships and depression. A nice contrast of loveliness and sadness, like a balloon with a dead animal inside. Or something less horrible. The title track Mary is the lead single of the EP and it definitely performs the exact contrast mentioned above. The cute instrumentation is made up of sweet guitar melodies and a simple drum beat that’s easy to clap along to, while the group vocals talk about Mary being a bit of a loner or something. The delivery of the vocals give off the sombre context while also fitting in nicely with the instrumental, which kicks in towards the end to provide a big finale feel with huge guitar riffs and lead melodies that just sound badass. A great little number. Opening track Hello Honey features a much happier sound with some extra nice vocal hooks and more of the aforementioned sweet melodies from the guitars to make Mary have one of the nicest introductions ever heard. The particular standout is the elongated “youuuuuuuuuuu” vocal slipping into the main instrumental, as it just sounds so bloody lovely it actually makes me a little mad. 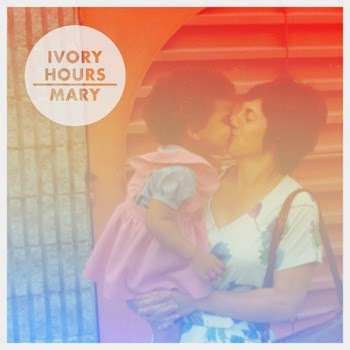 Mary is a fantastic EP from Ivory Hours and once again more proof as to why I should be living in Canada. The band do a great job of keeping the instrumentals sounding as sweet and as poppy as possible, while also making sure the lyrics add a lot of personality and weight to them. It’s an infectious route into being either ridiculously happy or quite a bit sad, depending on what element of the EP you want to listen to. But either way, tracks such as Hello Honey and Young Blood are rather wonderful. The whole EP is wonderful, listen to it now. For more music reviews, free downloads and I love this freaking EP. Check out Exploding Head Syndrome on Facebook and Twitter.